When he was young he used to go to "Martes Populares" shows at Arena Coliseo. 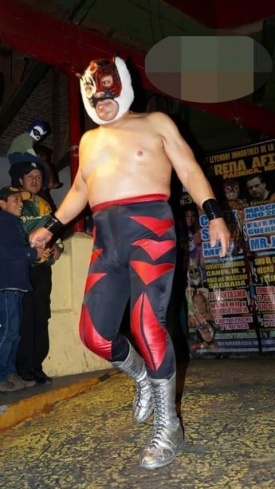 He liked lucha libre so much that he decided to train in order to become a professional wrestler. He was trained at Felipe Ham Lee Gymnasium for about three years from 1975 until 1978. His first wrestling name was Ariel. When he began to work at EMLL he received an new name and character by Ricardo Flores "El Candadito." 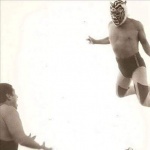 who was responsible to create many prominent wrestling names such as Fuerza Guerrera, Masakre, MS1, Tierra Viento y Fuego. The character itself borrowed traits of Tiger Mask as a permanent homage to the Japanese Wrestler. 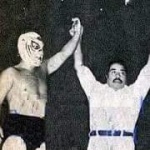 In 1983 before becoming part of EMLL he previously wrestled for about a month in Arena Coliseo Guadalajara where he competed with and against prominent wrestlers. He had wrestling tours all over México. He worked at major wrestling promotions such EMLL, Pavillon Azteca, and LLI. He had memorable matches one of them was in Celaya, Guanajuato where he teamed up with Lizmark against Baby Face & El Cobarde that match was early on his career. Another match was alongside Blue Demon against Dr. Wagner & Adorable Rubí. Dr Wagner praised him as a good rival. One more notable match was alongside Solitario against Bello Greco & Sergio el Hermoso. He also disputed the UWA World Light Heavyweight Championship against Shu el Guerrero. Besides of his active in ring career he is training new generations of luchadors at Gimnasio Shu El Guerrero formerly known as Gimnasio Felipe Ham Lee. Some of his former trainees were Cibernetico, Impulso, Warrior Steel among others. He works also as a promoter in Promociones Ojo de Tigre in which he is looking to support new talent. He usually makes presentations at Tiger Gym. He is grateful with his accomplishmets in his wrestling career. Los Felinos Cósmicos with Tigre de Bengala II & Tigre de Oro. They had a rivalry with los Thundercats. (1) Relevos suicidas vs. Príncipe Judas & Raúl Guerrero Jr. This page was last edited on 10 September 2017, at 17:51.